Waterloo Arts welcomes Creative Fusion artist Kuenlin Tsai, who will be an artist in resident for 3 months thanks to a generous grant from the Cleveland Foundation! 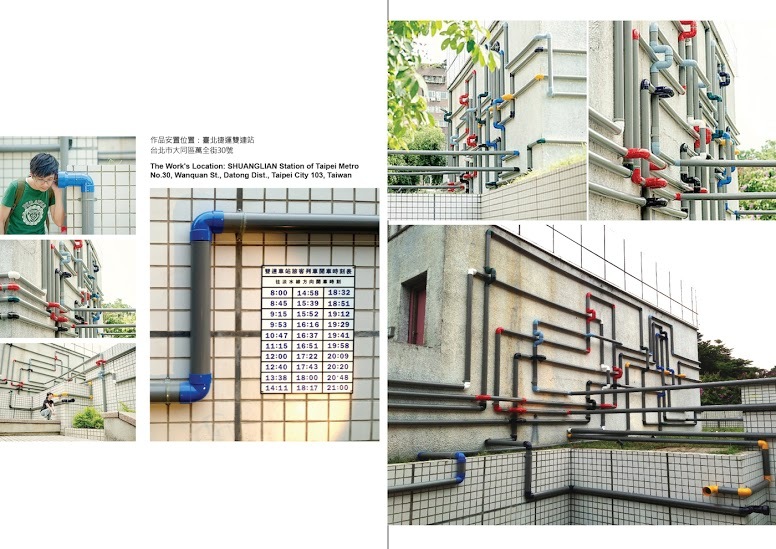 Born in Tainan in 1979, Kuenlin Tsai is best known for his artworks made of plastic pipes. In recent years, he has also used wood or paintings as his materials. In fact, his artistic practice is not limited to particular materials. he always chooses the most appropriate material for his artworks. The form demonstrated through these materials has shown a “process” inviting audience to take participation in. His intention is thus expressed through the process of participation. Therefore, his artworks never speak out in a direct way, but serve as media encouraging audience to feel the works and to come up with new perceptive experience through their physical awareness.